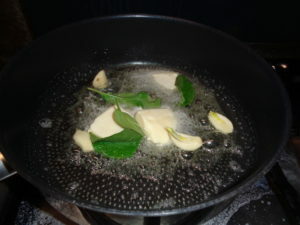 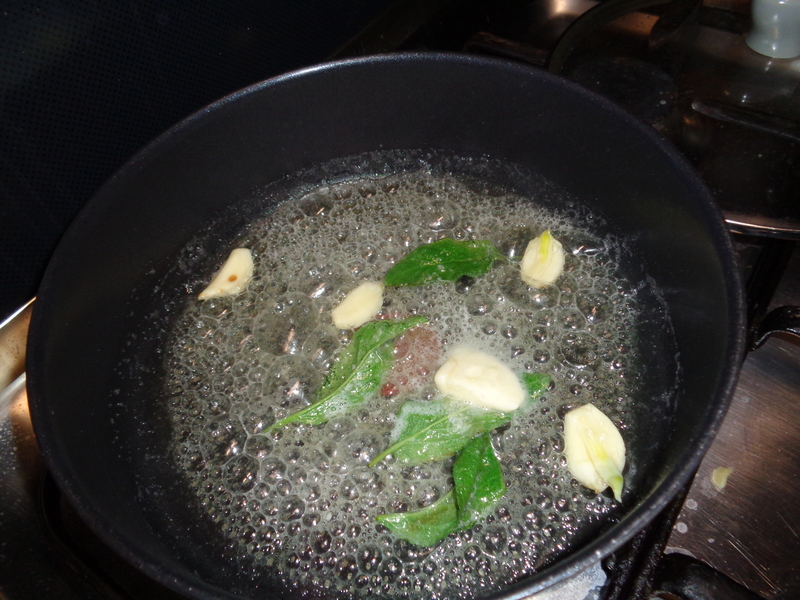 Start frying few sage leaves and garlic in two-three spoons of butter. 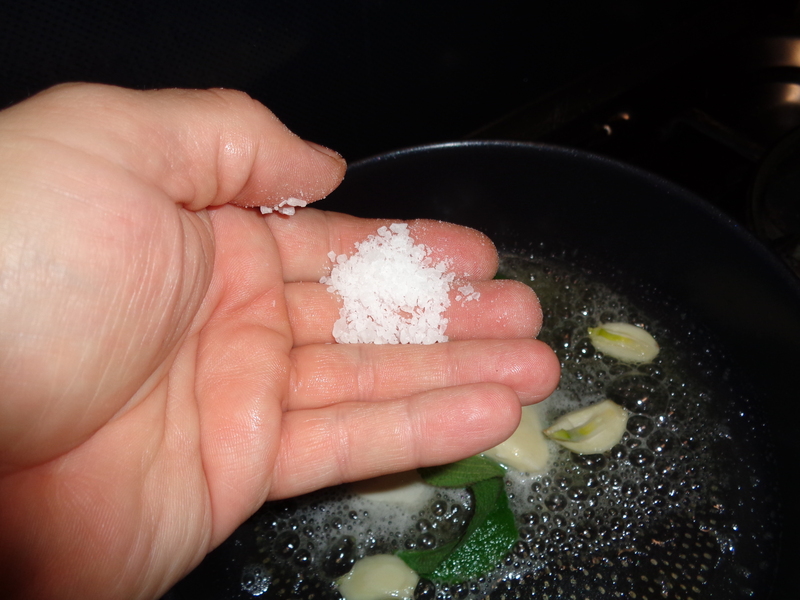 Add one pinch of marine salt. Fry only the time to get the garlic a little bit roasted. 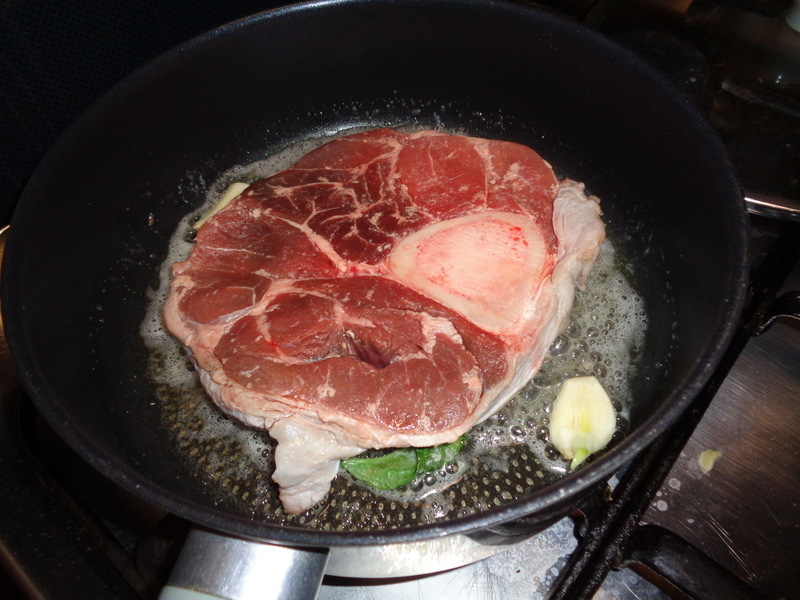 If you want the beef to be tender you have to work on it before to cook with the meat-hammer. Put the beef in the fry-pan. 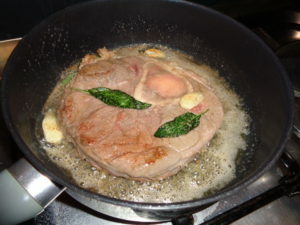 Cook at high fire two-three minutes. 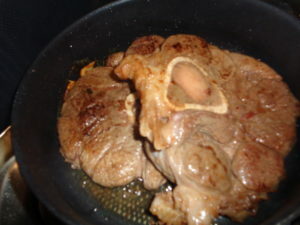 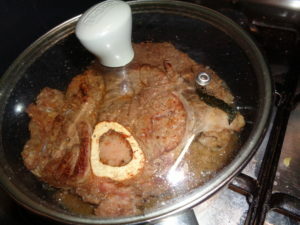 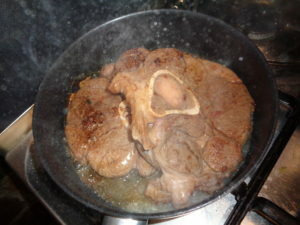 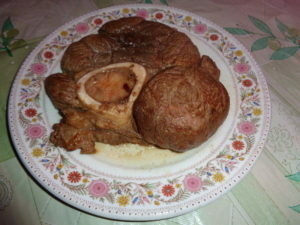 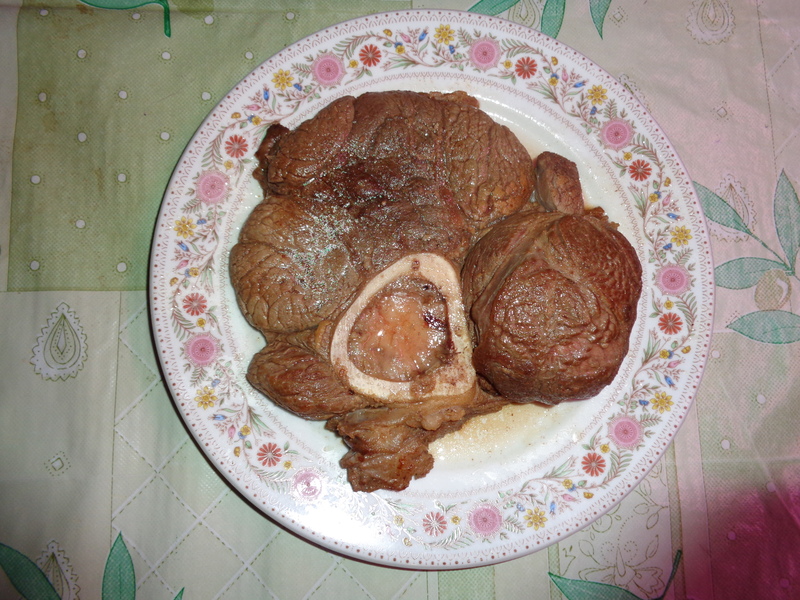 Turn the “ossobuco” upside down: cook two-three minutes. 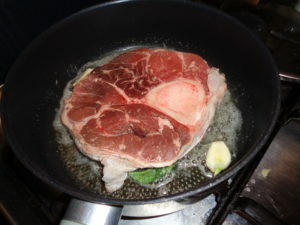 There the skin can be cut to keep the beef flat on the pan surface and not pop-up, usually I do it with the scissors. You have to turn upside-down 3-4 times. 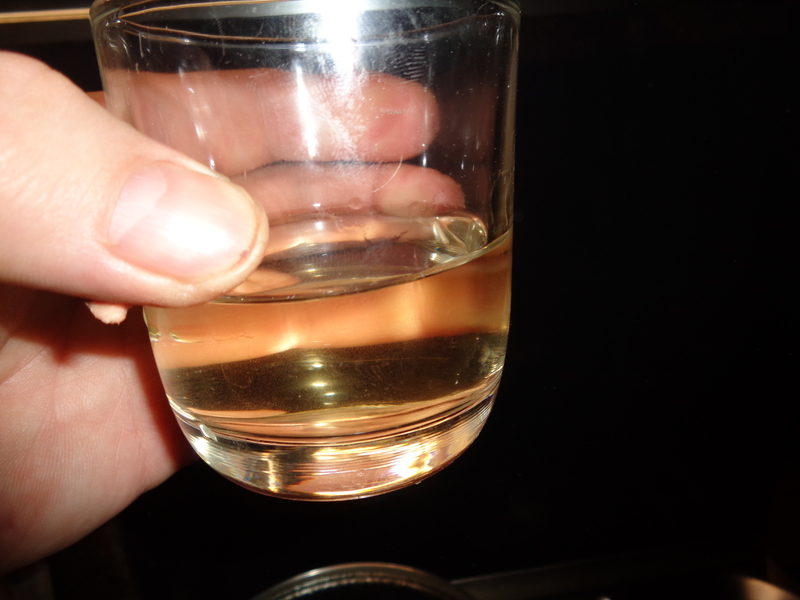 Drop half glass of white wine. 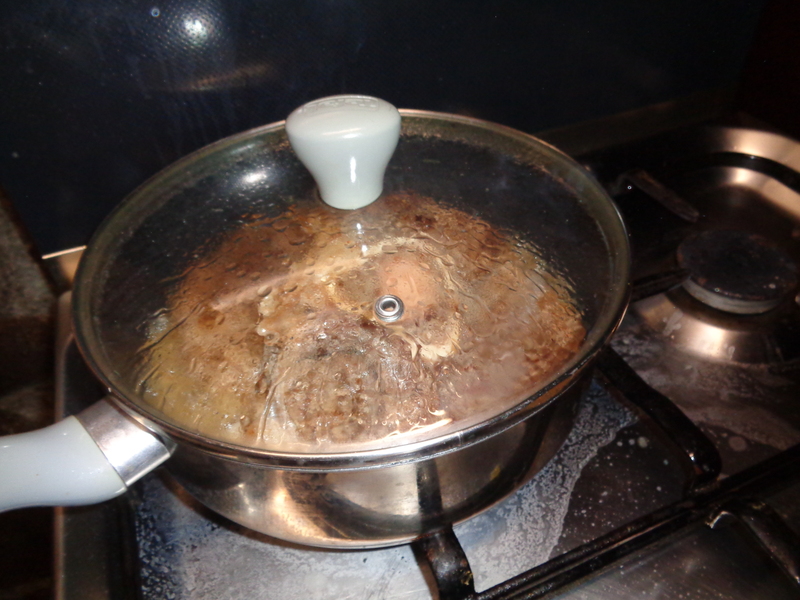 Cover with a lid and cook one minute covered. 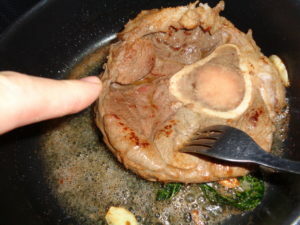 Open the lid and serve.